Following on from the Doom Riders post, I needed to find some troops to represent the Guardsmen of Blind Obedience, or Blinders, the rank and file of the Dark Prince’s army. 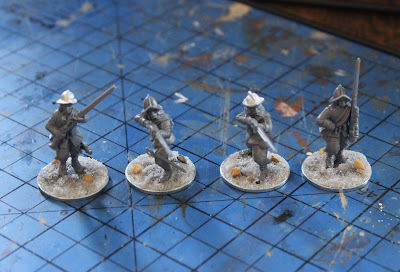 I had an idea that these were to be uniformed, in stark comparison to the rag tag units fielded by the villages. I imagined that those in the employ of evil always get to wear the smartest clothes, the devil has the best tailor don't you know. Having taken advantage of a ‘Warlord Games’ half price sprue sale, I was able to put together some likely candidates. I quite liked the European look of the Morion helmet and decided, for the sense of uniformity that this was the way to go. With time against me, I decided to try another new technique, that of the dip! Now when I say new, I realise that this process has been around for ever, but it was new to me. 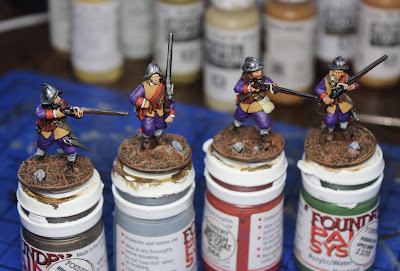 So having blocked in my chosen colours, I had to take that difficult leap of faith and smear the dark, treacle like substance all over my carefully painted miniatures! Once dried the high gloss finish has a charm of its own, but it wasn’t for me and the troops were dutifully given a matt spray before picking out a few highlights. The Hag underwent a similar process, although with hindsight shading black with the dip probably wasn’t worth the effort! Having said that the skin and broom worked well and this ‘Westwind Productions’ storybook Witch was ready to take the field, causing mischief and mayhem wherever she went. Great looking Blinders Michael, I like the fact they look well equipped to take on any roll their master wants. The witch turned out really well as well, and enough to scare most simple villagers. Have never used the dip technique so very interesting to read what you thought. Thank you Dave. The dip certainly helped when I was up against it time wise, but not sure it will become my default method. They look great Sir M, the inking has worked to perfection. Love the witches face, very dramatic! Thank you so much Ray, really pleased with the old hag, she is such a great character. Thank you Paul and nicely punned. Thank you Simon, the storybook witch is such a great sculpt. The witch is from ‘Westwind Productions’ there should be a link in the post. You get two standing and two flying. Great sculpts, but they do need a bit of cleaning up. Thank you for the link, I shall look forward to that. They look wonderful Micheal! I use the dip on some projects and as long as you add highlights and a dull coat it usually works really nice. Thank you Christopher. Highlighting afterwards is definitely the way to go, but it does make everything a bit dirty. Superb Michael, you have done these proud! Thank you so much Ross. Thank you Matt, hopefully more soon. Wonderful choice of colors, great job! Thank you Dean, it just seemed to be the look I was after. What a cracking unit and a fine body of men! You are very kind Fran, thank you. Great work Michael! Always impressive to see what people can achieve with that Dip stuff... it somehow never worked for me. Thank you Nick. I think it depends, very much, on what the overall look of the unit needs to be. For something a little rough and ready it works well, but otherwise it just makes everything look dirty. I used the gloss dip only once and didn't like the end result, it was too dark. Maybe painting in a lighter tone would offset that so I don't think I gave it a fair trial. These have worked well, especially on the purple and lots of people get an excellent result. 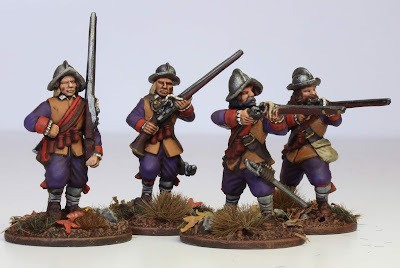 I fully agree about the helmet, I came across some border rievers figures with these morions and am having to give myself a good talking to, to dissuade myself buying yet another different period of figures just because I like the look of them. I am still using the dip, but starting to be a little more careful with it. Great reinforcements Micheal, nice to see the witch appearing, it is a lovely cast. Thank you Stuart, she is certainly a favourite of mine. Great work yet again sir! Lovely work, sir! Yes, using The Dip for the first time takes a leap of faith, but I find it's worth it. Thank you A.J. I am starting to get to grips with it now. 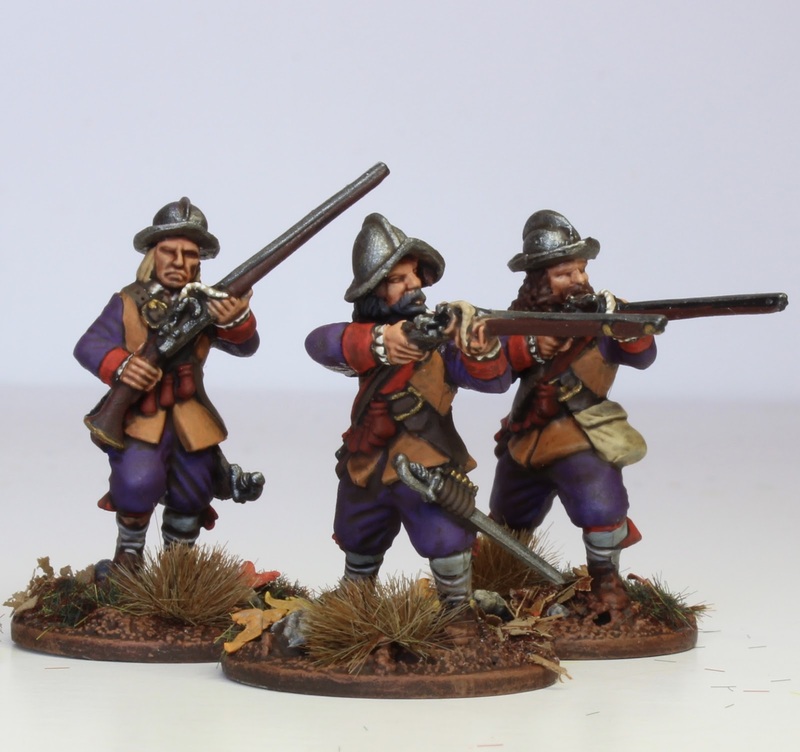 Lovely figures and I think the european look is spot on.Great paintjob! Thank you Andy, that's very kind. I love how rich these colours are, my miniatures look quite dull in comparison. Fantastic looking hag too, what a great miniature. Thank you so much, I am pretty wary of it, but I do like the effect. 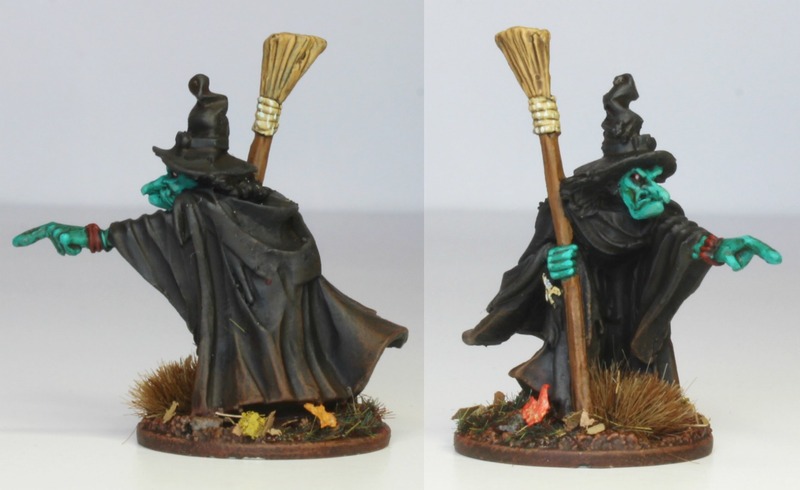 Hard to notice that you've used dip, but having said that you have added some extra detailing afterwards bringing them up to your usual beautiful work; talking of which, that witch is a piece of work - wonderful figure and paintjob. Thank you so much Joe, the highlights are definitely worth doing after the matt spray. Still very much getting to terms with it though. Great work, Michael. The way you've weathered the hag's cloak ties into the base very nicely. Thank you so much Mr. Finch. More wonderful additions to your collection. I have come to dip (brushed on) for all my miniatures now. I prefer it as it also provides good protection to the miniature from finger grease, etc. Like you, I also always end up matte overspray to end it. Not a fan of glossy figures! Thank you Terry, it certainly does give the miniatures a really good protective layer, a bonus.